Dr. Ron Rabinowitz received his MD degree from the University of Pittsburgh in 1968. He did his surgery training at the Hospitals of the University Health Care Center of Pittsburgh from 1968-1970, followed by 2 years on active duty in the US Air Force from 1970-1972 performing general surgery, pediatric surgery, gynecology and obstetrics. He returned to the University of Pittsburgh for his urology residency, which included a year of pediatric urology at the Children's Hospital of Pittsburgh. He completed a fellowship in pediatric urologic surgery at the Hospital for Sick Children, Toronto, in 1976. He has been a faculty member and Chief of Pediatric Urology at the University of Rochester for 40 years. He is presently Professor of Urologic Surgery, Professor of Pediatrics and Associate Chair of the Department of Urology at the University of Rochester School of Medicine and Dentistry. He is a renowned expert in the field of pediatric urology. He is a diplomate of the American Board of Urology with subspecialty certification in Pediatric Urology. He has authored or co-authored more than 190 scientific articles and textbook chapters. 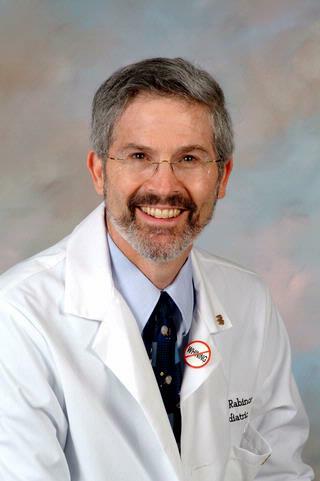 He has been Chair of the American Academy of Pediatrics Section on Urology, Secretary and President of the Northeastern Section of the American Urological Association, a member of the Board of Directors of the American Urological Association, a member of the American Board of Urology Written Examination Committee and an Oral Examiner for the American Board of Urology. 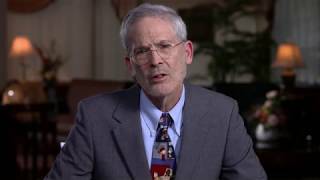 He is presently Historian for the American Urological Association. His clinical interests include minimally invasive treatment of vesicoureteral reflux, along with management of cryptorchidism, hydronephrosis and penile deformities. Sponsor: Pediatric House Staff - University of Rochester Medical Ctr. Gordetsky, J., and Rabinowitz, R. "Sir Henry Thompson: Royal Stones". Urology. 2014; Vol. 84, No. 4, pp. 737-739. Gordetsky, J., Westesson, K., Rabinowitz, R., and O'Brien, J . "Wine and Honey: the Oldest of Medicines". The Journal of Nephrology. 2013; 26, Suppl. 22, pp. 192-197. Gordetsky, J., Bendana, E., O'Brien, J., and Rabinowitz, R. "(Almost) Painless Surgery: A Historical Review of the Evolution of Intraurethral Anesthesia in Urology". Urology. 2011; 77: 12-16.